A hectic candidate filing period came to a relatively calm close Monday evening, with few major surprises as the field was set for the 2018 primaries in Texas. Yet it's been a tumultuous few weeks across the state's political landscape. While every major statewide official — all Republicans — is up for re-election next year, few drew serious opposition. 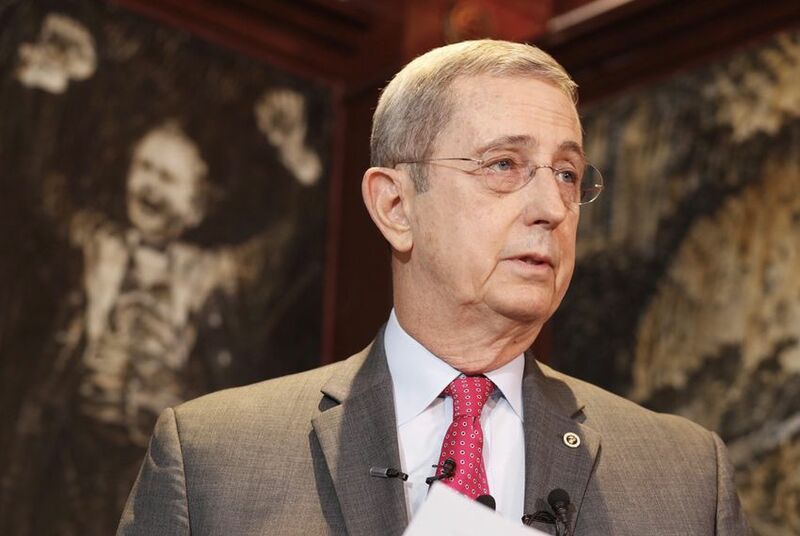 The highest-profile primary race appears to be for land commissioner, where the incumbent, George P. Bush, faces his predecessor, Jerry Patterson. Two of the statewide officials, Comptroller Glenn Hegar and Attorney General Ken Paxton, did not draw a single primary opponent. That is despite Paxton being under indictment on securities fraud charges for most of his first term. Both Hegar and Paxton still have Democratic opponents to get through. The filing period opened Nov. 11 with uncertainty over who Democrats would field to challenge Republican Gov. Greg Abbott. Ten Democratic candidates ended up filing for the top job, including two prominent names who announced last week: Dallas County Sheriff Lupe Valdez and Andrew White, the son of late Gov. Mark White. While Democrats faced persistent questions for months about their statewide slate, they emerged from the filing period touting the number of candidates they were fielding up and down the ballot. According to the state party, Democrats are heading into 2018 contesting all 36 U.S. House seats, 14 out of 15 state Senate seats and 133 out of 150 state House seats. "A blue wave is rising in the Lone Star State," state party Chairman Gilberto Hinojosa said in a statement. "Texas Democrats are marching, organizing, and stepping up to serve. We are so excited to have a conversation about who we are and where we want to go as a Party." Monday was not without some unexpected candidacies. Former state Rep. Norma Chavez, D-El Paso, announced that she was running for the seat being vacated by U.S. Rep. Beto O'Rourke, D-El Paso, who is challenging U.S. Sen. Ted Cruz, R-Texas. Up until Monday, the Democratic race for O'Rourke's seat had centered on Veronica Escobar, the former El Paso County judge, and Dori Fenenbock, the former El Paso school board president. There were other noteworthy filings as the period reached an end. Jim Hogan, the 2014 Democratic nominee for agriculture commissioner, filed to run as a Republican this time. State Rep. Mike Lang, R-Granbury, drew a primary challenge from Granbury ISD Superintendent Jim Largent. Railroad Commissioner Christi Craddick got her first and only primary foe in Weston Martinez, who unsuccessfully ran for a seat on the commission last year. And in San Antonio, former Republican state Rep. John Lujan filed to take his old seat back from state Rep. Tomas Uresti, a Democrat. The day began with a glimpse at what could be one of the more competitive statewide primaries: the Bush-Patterson race. Speaking with reporters in Austin, Patterson outlined his two main reasons for his run: Bush's handling of an Alamo redevelopment effort and the housing recovery from Hurricane Harvey. "I don't need a job. I wasn't looking for a job," Patterson said. "But to be clear, there are some things more important than me enjoying my retirement. I can't sit back any longer and watch what's going on."